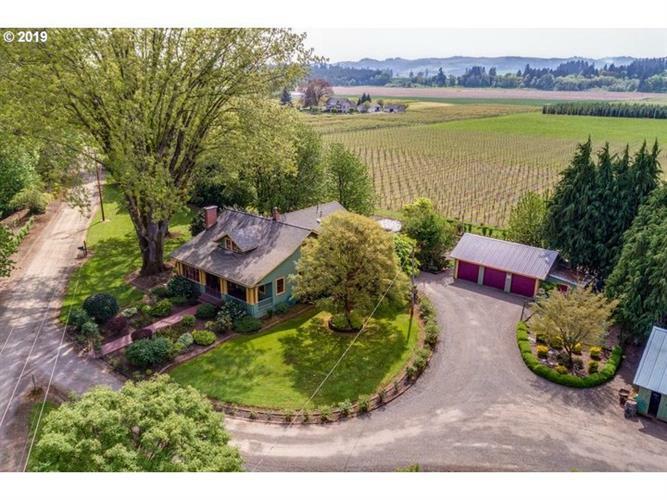 for $1,795,000. The lot size is 26.9000 Acre(s). Presenting the successful Arcane Cellars Vineyard & Estate on the Willamette River. Nearly 27 acres w/18 acres of vines & 9 varieties of grapes that produce enough to keep a 3, 000 case winery active. Impeccably maintained grounds. All equipment & branding included. Historic Matheny Ferry house, built in 1910, is filled with vintage charm yet updated to fit all modern conveniences. Opportunity awaits you at this private paradise!